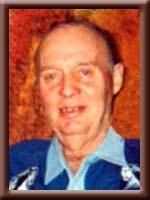 Cunningham – Murray Ralph, 73, of Liverpool, passed away on Thursday, March 29th, 2012, at home. Born in Milton, he was a son of the late Leaman and Isabella (Cunningham) Cunningham. Murray worked many years in the woods, before going to work for C.W. MacLeod Fisheries in Port Mouton. He is survived by his loving wife, the former Margaret Williams; sisters Carol (Teddy) Whynot and Janet (Terry) Cunningham, both of Liverpool; brothers Victor of Ontario and Donald (Doreen) of Liverpool. He was predeceased by sisters Mildred and Bertha; brother Leaman. Margaret we are so sorry to hear of Murrays passing.Gug and i are so sorry for your loss.It will sure be a big miss not seeing him around on his bicycle and oh the great times we used to have at the Legion dances.If there is anything we can do all you have to do is give us a call.Our thoughts and prayers are with you . dear margaret and families.we was so sorry to hear of murray passing.we are thinking of you all during this very sad time.god bless. Sorry to hear of Murray’s passing. May the days ahead bring peace……. So sorry to hear of Murry”s passing.May he rest in peace…My thoughts are with all the family at this sad time….God Bless!!!!!! sorry to here about uncle murray’s passing . to margaret, sorry to hear about murray… my thoughts go out to you and your family. God Bless!! Margaret and families we was very sorry to hear of Murray’s passing our thoughts are with you at this sad time .R.I.P. Murry . Just 2 weeks ago when I was home to Liverpool I saw Murray on his bicycle. I’m sure going to miss seeing him around town and will miss our little chats, that we usually had at the post office. I’m thinking about you during your time of sadness. If you need me for anything feel free to call. Margaret and families sorry to hear of Murray`s passing away.Our prayers and thoughts with you.Godbless you. Our thoughts are with you at this time for the passing of uncle Murray. Very sorry for your loss. So very sorry to hear of Murry’s passing. So sorry to hear of Murray’s passing. My thoughts & Prayers are with you all. God Bless.